A savings account for college expenses that grows tax free. why should you care about having a 529? College is expensive and kids grow up fast. Every dollar saved is more than a dollar that you won’t have to borrow for college costs. A child is 6x more likely to attend college knowing someone is saving money for them to go. Education pays! Those with a college degree can earn over a million dollars more over a work lifetime than those without. It is a smart and timeless gift. It’s clutter free and won’t be outgrown. They’ll love you and thank you forever! You’re free to invest in any plan but you’ll want to check your home state plan first for state tax and/or other benefits as you shop around. There are two types of 529 plans. Nearly all states offer a 529 savings plan while a few states also offer a 529 pre-paid plan. Both types of plans have the same favorable tax benefits. 529 savings plans are investment plans in which you can choose from a wide range of options to invest your funds. These plans can be used for many types of expenses, from tuition to room and board, to books and supplies, at a wide range of schools around the country and world. 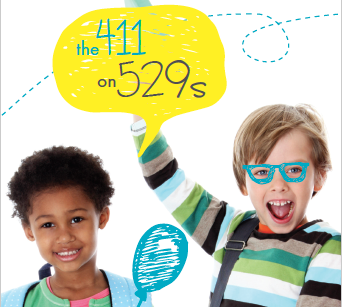 As the name implies, 529 prepaid tuition plans allow you to pre-pay (in a lump sum or installments) future tuition costs (in years, credits or units) by locking in current prices. These plans cover only tuition and sometimes fees, generally only work for in-state public universities and may require the account owner or future student to be a resident of the state where you open the plan.